Bing is the second largest search engine in terms of explicit core search. As per a report published by comscore in January 2013, Google accounted for 66.7 % whereas Microsoft group sites accounted for 16.3 % and Yahoo sites for 12.2 %. As Bing and yahoo have collaborated for search engine technology, total share of bing and yahoo stands at 16.3+12.2 = 28.5 %. Sites for 2.2 billion queries. This data is for US market. You can read the detailed report at the link mentioned above. Idea behind putting these numbers is that there are billions of search queries on Bing and Yahoo and if you have been ignoring them then imagine the kind of business you might have lost. In fact, as most of the bloggers only target Google, competition for blogging related queries at Bing would be lower. Therefore, it is easier to rank at Bing than Google. Now having said that, I don’t mean to ignore Google but point is, why not target Bing and Google, both? It is definitely not Google vs Bing and i am also not pointing out the Difference Between Bing and Google. There is lesser number of queries on Bing but at the same time, they are more than enough to deliver great results to you and your blog. Now if you wondering how to rank higher on Bing? Then I have got few simple Bing SEO Guidelines and tips which can help you in gaining traction at it. Length of the content – Bing prefers content with more than 300 words but you should target more than 500 words. Anything over 500 words is a good bet for Bing. If you are following these techniques, you are good. But if you are not, then you are jeopardizing your chances on Google and Bing. Therefore start doing it. For wordpress users, you can use SEOPressor to optimize your page automatically. Links – Bing prefer backlinks from extremely relevant sites with rich anchor text. Bing also focus on outbound links. So pay special attention to that. That’s why I believe using a plugin or tool to automate the process of on page SEO is so important. These tools are capable of automatically checking these things for you. But nonetheless, you should focus on backlinks and outbound link. Domain Age– Domain age is a big factor for domain but there is nothing you can do about it. If your domain is old then you are good but for newer domains, follow the standard optimization techniques and see if it delivers for you. You can target keywords with low competition to achieve desired results on Bing. Sitemap – it has been observed that crawling rates go up if you submit sitemap regularly to bing. Sitemaps are extremely important. Microsoft has created a tool for creating sitemap. You can download this tool from Microsoft download center. SEO Analyzer – SEO Analyzer You gets a feature SEO Analyzer which is extremely good to analyze your webpage. It will generate a report which will have all the information required to optimize your page. Link Explorer – Link explorer is a tool in build in Bing Webmaster Tool. You can find out all the links pointing to a particular URL in this tool. This tool is great to find the backlinks detected by Bing on your blog or webpage. Keyword Research – You should use keyword research tool in bing webmaster to check the traffic stats for a keyword. You can get lot of other tools also in Bing Webmaster tool like page traffic, index explorer, crawl information, crawl control, block urls, markup validator etc. Bing is the second big daddy in search engine industry. It cannot be ignored and as it is fairly easy to optimize your site and it doesn’t require anything which can disturb your optimization for Google. And I don’t think you will mind extra traffic from Bing. 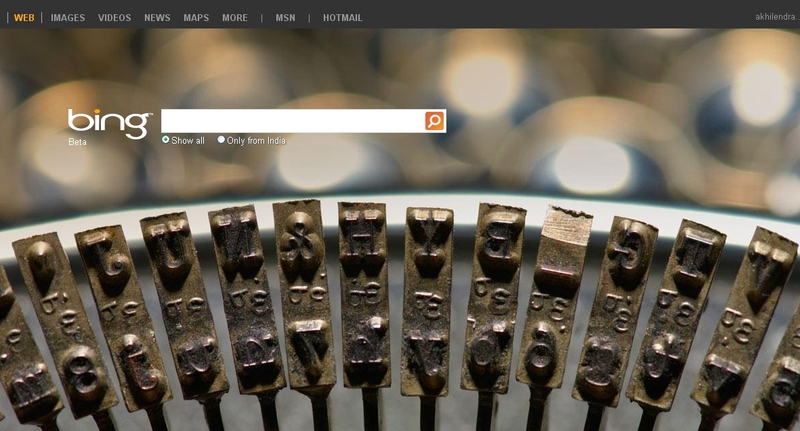 Please share your thoughts and views on Bing SEO and yes, spread the word, share it. At the moment, guest posting is one of the best seo technique which delivers huge traffic through referral also. You are spot on Ankit. Thanks for stopping by and sharing your comments. I stopped ignoring Bing a while ago. Now while I don’t receive much traffic from the search engine, most of my keywords are at the top of it’s search engines. I have not used Bing to that extent but having read your post now I think I can make much better use of it. Thanks for the share. A very relevant share!! Each and every blog just sings about the google page ranks. I got something new for reading in this post. Bing is gaining importance with each passing day. Therefore bloggers should also consider strategies for ameliorating their bing rank. Thanks for the share. that article is the important information share the Seo programmer .so the use the information and improve the rank our website. the great link building increment the page ranking. very nice article., I’ve seen many bloggers just running behind Google to get better ranks in Google search engine. so in my opinion, bloggers must think of getting higher rank in bing also.. I had just thought you optimised the same for all search engines I am now going to go and have a look at bing webmaster and sign up. You can’t have too much information about your site. You are saying the older the domain the better. So if thinking of setting up a new site is it better to go to flippa or somewhere like that and buy an established site to make it easier to rank????? Hi Lee, Basic optimization for Google and Bing is same which include standard on page seo techniques with few minor differences. You can try it yourself, just run some query in Google and Bing with same keywords. You will see difference in the returned pages. It is better to use Bing webmaster tool to optimize your blog for bing because information which you get in Google webmaster tool is based upon information collected by Google and the way it looks at your site. Certain information will remain same like broken links etc. But Both search engines have different search algorithm and they rank differently. So it’s better to give some time for Bing SEO. Based upon my experience i can say that my traffic from bing has gone up after i started using and following Bing Webmaster tool. Bing does give more importance to age of the domain whereas Google give more importance to brand. And you are right if you want to get a aged domain then you can try at flippa or godaddy auctions. Let me know if you have any question.